Woon Kim brings together a host of international styles, mixes them up, and makes them his own. 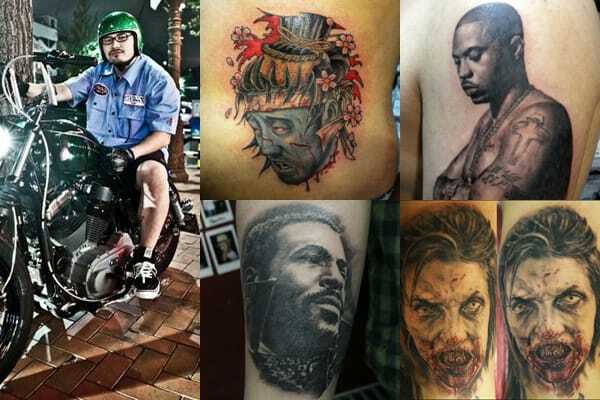 Musicians are a favorite subject, and he does great portrait tattoos. If you're looking to put a lady on your body, female figures by Woon Kim are well-conceived.